Every so often I go a little nuts because I have way too many unwanted emails in my Inbox. This happened to me again after the New Year, so, rather than just continue to be frustrated, I decided to do a little investigating. 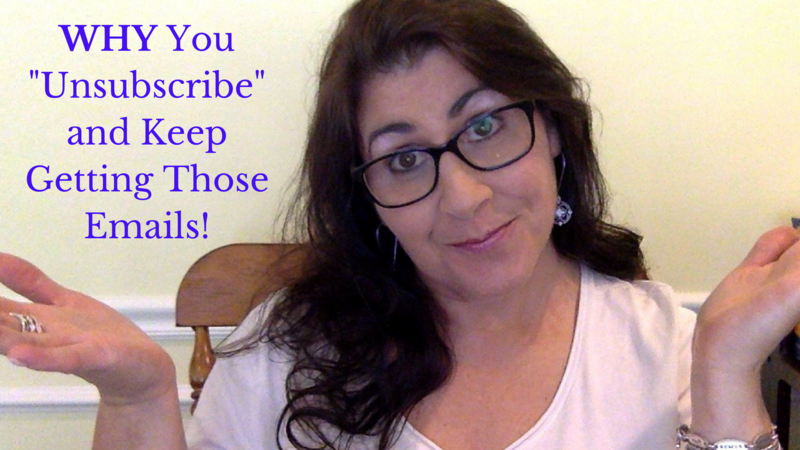 Until very recently, I had a slew of people sending me emails every month that I no longer wanted, didn't need, and, honestly, I usually could no longer remember who the senders were and why I was on their list. I recently did a live broadcast where I mention the effectiveness of email marketing and who actually sees what you're posting online. Email marketing is a wonderful and effective way to market yourself and your business. It reaches exactly who you want to reach (targeted followers who've shown an interest in you and what you say/sell) and does so at the exact moment you want to and gives them clickable links, important information and first access to all of your newest products, programs and services. But while opting in to people's lists is easy, the actual process of opting out was not easy for me...until yesterday. Some email service providers allow you to opt out with only one click. (Convert Kit is one of these). 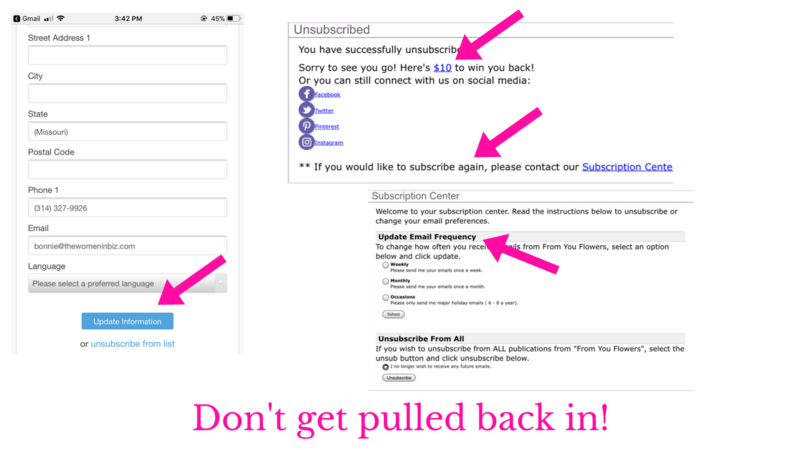 Some email service providers make you click twice to opt out. (Mailchimp). 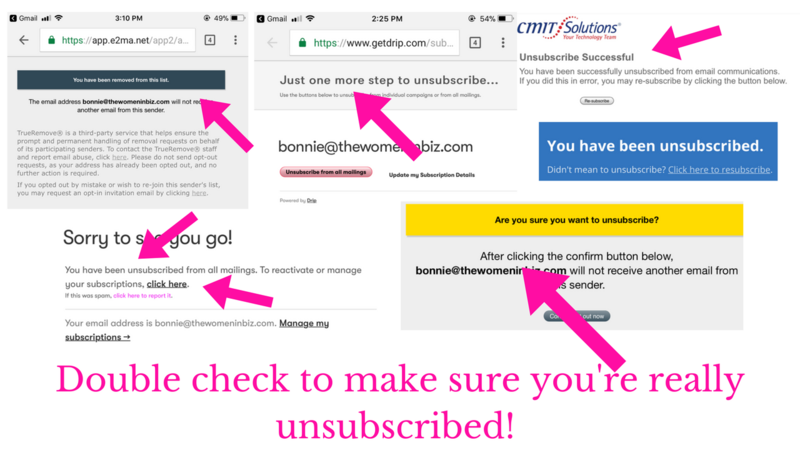 One email service provider makes you click at least three times before you're actually no longer on that list and will no longer receive those emails. (Infusionsoft and Ontraport are in this group). Step One: Find the Unsubscribe link. 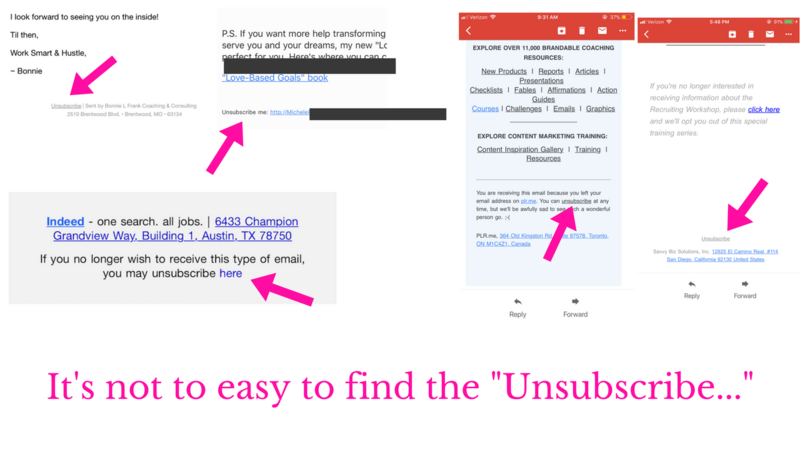 Trust me, this is not always so easy...Although these links are located in the footer of the email, but it's not always easy to locate. Step four: Don't let them pull you back in! 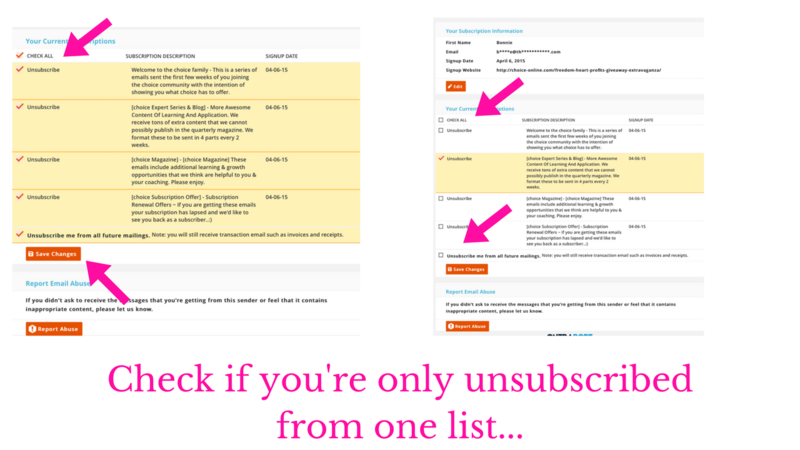 It's counter-intuitive to me that unsubscribing from someone's email list often requires more than clicking "unsubscribe." Email marketing is a wonderful way to reach your target audience; Ironically, email marketing's strength has nothing to do with the fact that it can be impossible to opt out of the email list.